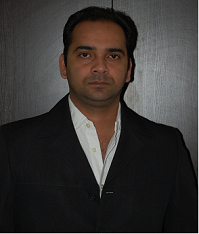 Abhishek Mehta (Abhi) is the founder of Dabizmo Inc., and also the chief architect of the terminal. With his sharp acumen for business opportunities and as a seasoned IT professional himself, he merged the advanced principles of natural language semantics, software engineering and unstructured business information. In the past, he assisted various content services of the Bloomberg terminal to become semantically aware, and artificially intelligent. Abhi was also co-founding member of Semantic Insights (2005-10), a company with deep Insights in natural language processing. With lots of leadership roles, and patents behind him, his team is working on Dabizmo, and successfully reaching one milestone after another. Dr. Rengarajan’s passion for extracting knowledge from the unstructured data using NLP and AI techniques has become a major push behind the formation Dabizmo. He has more than twenty years of experience in the software industry. Headed successfully many product development cycles during his long career. Co-Founding member, at Semantic Insights, and as Head of Core Development, he directed the product development based on Natural Language Processing(NLP), Ontology and Semantic concepts. He is a co-inventor of the US Patent. 7,599,899. As VP Software Engg. of PicoPeta, managed the Simputer (handheld computer) related enterprise projects from concept to delivery. As a Fellow at StrandGenomics, (now StrandLifeSciences) a bio-informatics software product company, designed and directed important products. At Motorola India he has contributed significantly to compiler technology for vector processor. 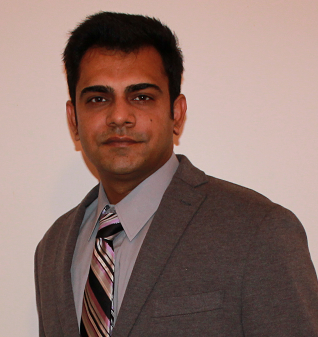 Amit has more than a decade of experience in technology, and leadership roles for the product development cycles. His deep understanding in design and architecture definition beings a unique opportunity to Dabizmo’s technology stack. He has vast experience ranging from application development to firmware development. Previously he has worked for global companies like IBM software Labs, Semantic Insights, Ness to name a few. He is Cricket fan with deep running interest in Geo-Politics. He is motivating leader who heads his team from the tip of the spearhead.